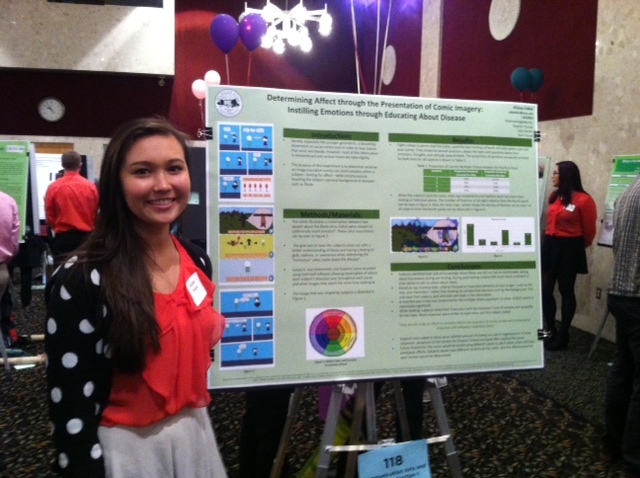 Alyssa took home top honors for her poster, DETERMINING AFFECT THROUGH THE PRESENTATION OF COMIC IMAGERY: INSTILLING EMOTIONS THROUGH EDUCATING ABOUT DISEASE, presented at Michigan State University’s 2015 University Undergraduate Research and Arts Forum (UURAF). Cassidy took home top honors for her poster, THE INCREASED COMPREHENSION OF SCIENTIFIC CONCEPTS WHEN EXPRESSED THROUGH AN INFOGRAPHIC, presented at Michigan State University’s 2015 University Undergraduate Research and Arts Forum (UURAF). 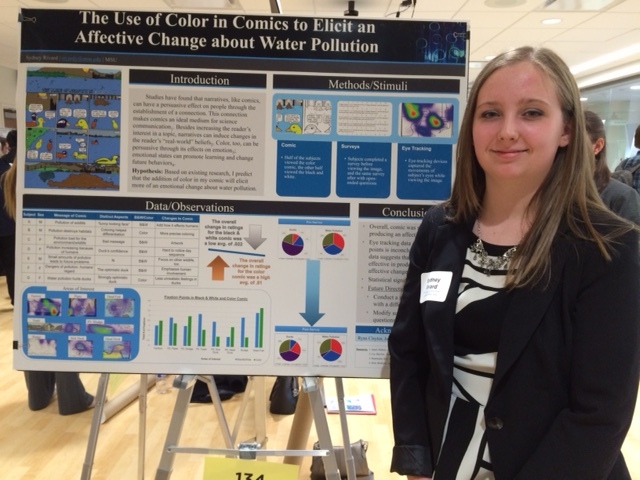 Sydney presented her original research, THE USE OF COLOR IN COMICS TO ELICIT AN AFFECTIVE CHANGE ABOUT WATER POLLUTION, at Michigan State University’s 2015 University Undergraduate Research and Arts Forum (UURAF). 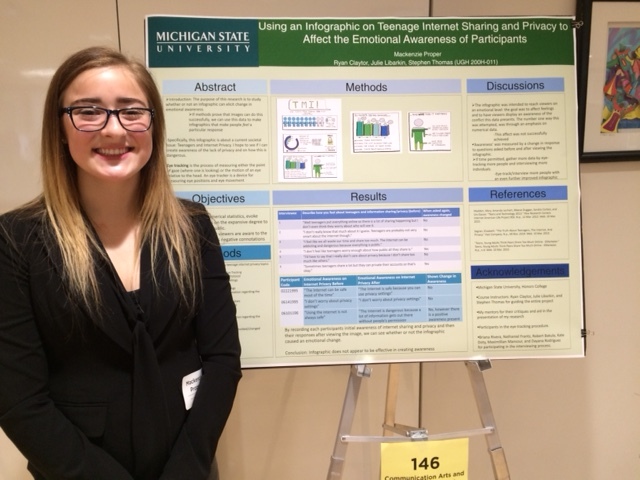 Mackenzie presented her original research, USING AN INFOGRAPHIC ON TEENAGE INTERNET SHARING AND PRIVACY TO AFFECT THE EMOTIONAL AWARENESS OF PARTICIPANTS, at Michigan State University’s 2015 University Undergraduate Research and Arts Forum (UURAF). 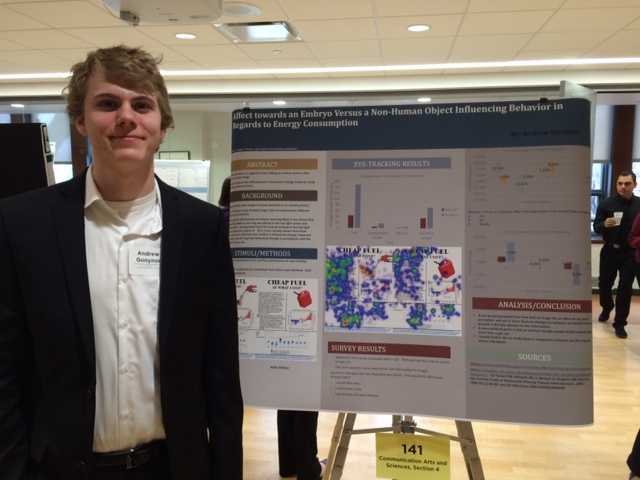 McKayley presented his original research, CAN VISUAL REPRESENTATIONS CHANGE BEHAVIOR? 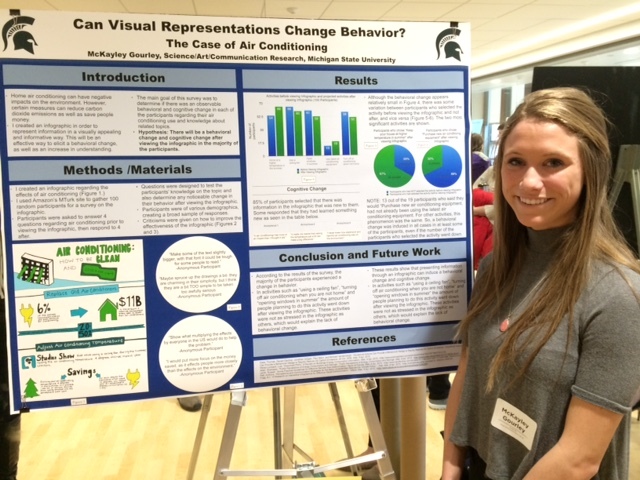 THE CASE OF AIR CONDITIONING, at Michigan State University’s 2015 University Undergraduate Research and Arts Forum (UURAF). 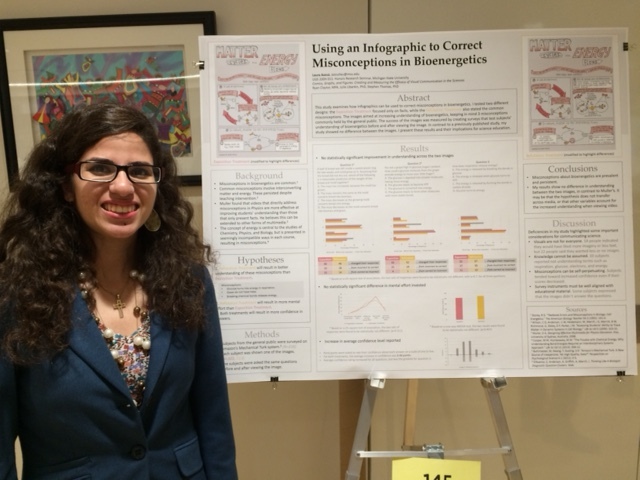 Laura took home top honors for her poster, USING AN INFOGRAPHIC TO CORRECT MISCONCEPTIONS IN BIOENERGETIC, presented at Michigan State University’s 2015 University Undergraduate Research and Arts Forum (UURAF). 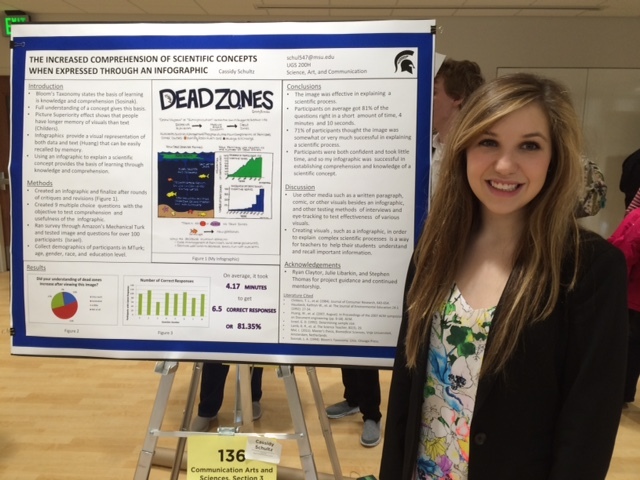 Two GRL undergraduates presented at MSU’s 2015 University Undergraduate Research and Arts Forum (UURAF). Seven students enrolled in a Freshman Seminar co-taught by Julie Libarkin, Stephen Thomas, and Ryan Claytor presented at MSU’s 2015 University Undergraduate Research and Arts Forum (UURAF). All of the students did amazing jobs conducting, analyzing, and presenting their research; three students won their sections. Congratulations to all presenters and winners! 1. Laura Azouz, USING AN INFOGRAPHIC TO CORRECT MISCONCEPTIONS IN BIOENERGETIC. Winner! 6. Cassidy Schultz, THE INCREASED COMPREHENSION OF SCIENTIFIC CONCEPTS WHEN EXPRESSED THROUGH AN INFOGRAPHIC. Winner! 7. Alyssa Zokoe, DETERMINING AFFECT THROUGH THE PRESENTATION OF COMIC IMAGERY: INSTILLING EMOTIONS THROUGH EDUCATING ABOUT DISEASE. Winner!